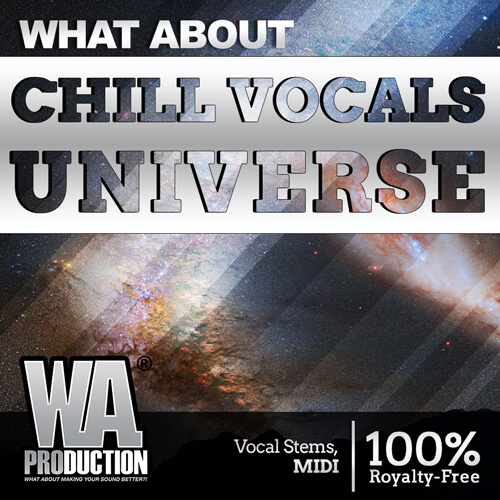 ‘What About: Chill Vocals Universe’ W. A. Production is a huge sample pack loaded with all of the tools that you need to create chilled tunes enhanced by modern male and female Pop vocals. There are eight full-length Construction Kits that are packed with contents like lead vocals, backing vocals, adlibs, lyrics, full instrumentals, Presets and MIDI. Note: For instrumentals, the W.A. Production team used Kits from their ‘What About: Flumed Future Bass’ sample pack. The Kits provided are in a variety of different tempos ranging from 120 – 160 BPM done because the vocals fit well with Future Pop and Future Bass, so you’re all set up with the tempos of those genres. The Kits range in a variety of different keys to add change and diversity in the vocals and Kits and so you as the producer can find a set of vocals that fits your track’s key. This pack is for you if you are one of the many producers sitting with a project thinking you need a great set of vocals to amp the track up. With this pack, you will have a supply of amazingly high-quality vocals to choose from that will bring energy and a tasteful atmosphere to your next project.